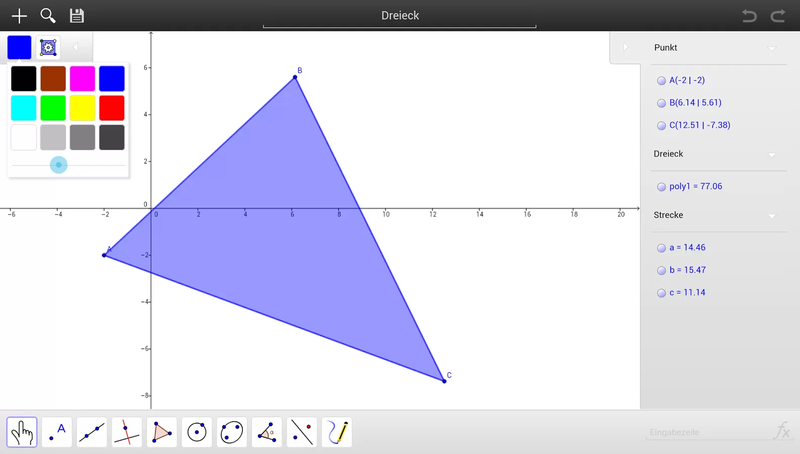 Of course, this is only the start to a great new chapter for GeoGebra, and we have lots of plans on how to continuously improve and extend our apps. As always, please let us know your feedback and ideas in our user forum and continue to build the world’s best math tool together. 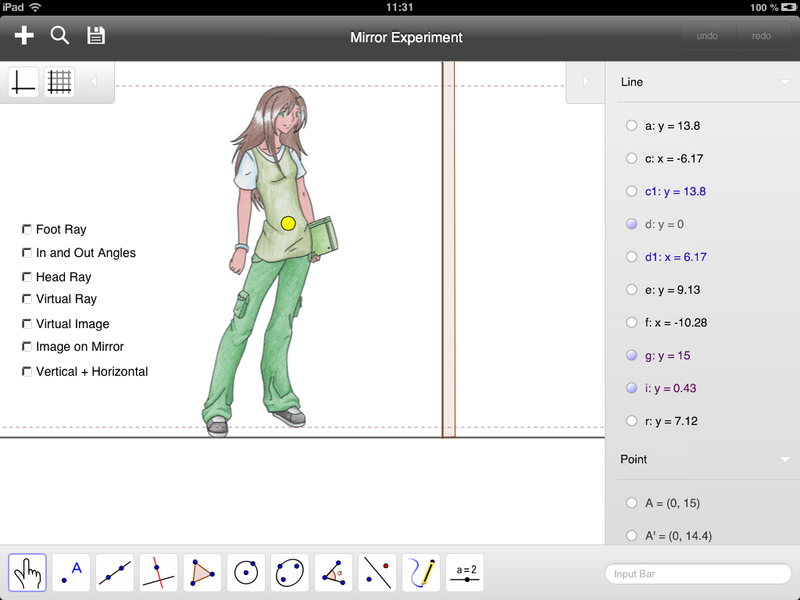 GeoGebra iPad App screenshots After the successful Kickstarter Campaign, we already showed one screenshot. Today we reveal a couple of more. Please have a look at the gallery below. And stay tuned for more. GeoGebra para tablets: Una herramienta más para lograr una Matemática para Todos. What's with the iPad "coming soon"? Like, how soon? 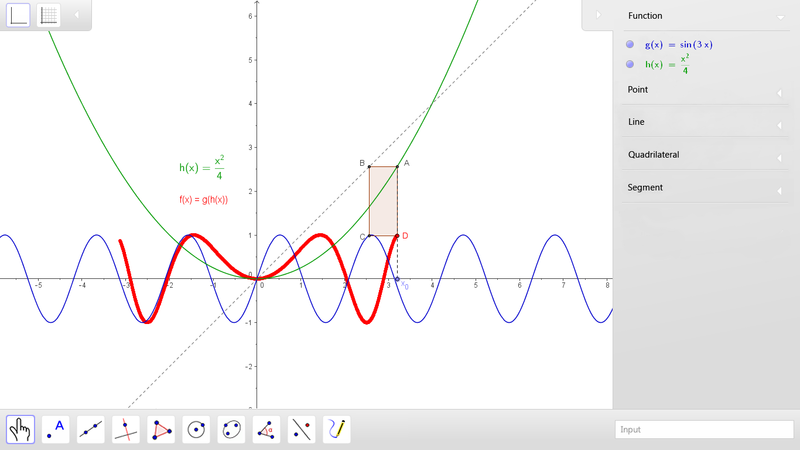 Geogebra para tablets un nuevo adelanto en nuestra forma de enseñar matemática. What about the iPad? When is that going to be released? Congratulations!!!! Waiting for the iPad version. Please announce release date if possible. Excellent, can't wait for the iPad Version. I know that the review process takes longer there because of Apple. Still it feels a bit unfair that a Kickstarter Project that was started with iOS users and shortly before reaching its goal added other platforms to the game is released on these platforms first. Why is the app for Windows 8 not avaible? It does not work on my Android Lenovo Lifteab_S9714 tablet. The title screen gets in the way. 3 Pings/Trackbacks for "GeoGebra Tablet Apps"